Last-minute refinements meant that Hydra-Sports&apos; new 2500 VX Vector Series fishing boat was transported by global shipper Peters & May by air, road and sea to Southampton, England, in advance of the Southampton Boat Show opening today. 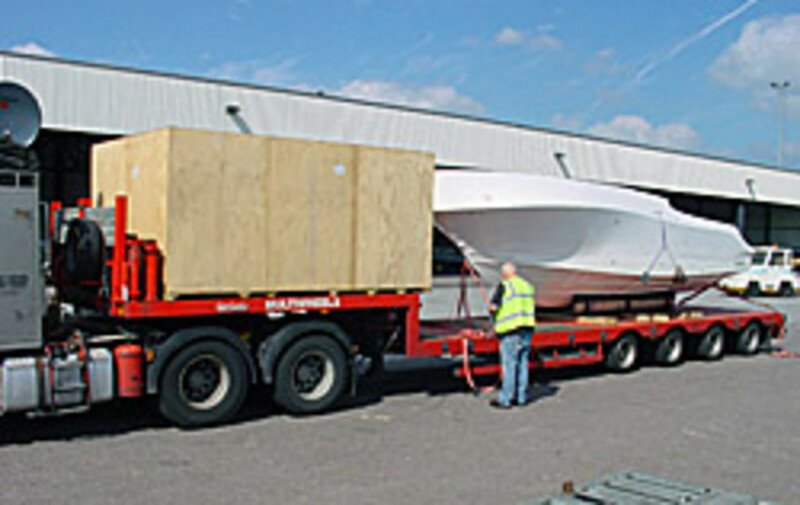 The 25-foot boat arrived in the U.K. within three days of leaving the U.S. factory. It traveled more than 5,000 miles. "It was paramount for the 2500 VX to reach the show in Southampton quickly and in pristine condition and Peters & May provided a completely effective solution to a highly demanding challenge," said Louise Cowley of MasterCraft and Hydra-Sports. After the 2500 VX Vector Series was hauled by road from the factory in Tennessee, the boat and crate were flown from JFK International Airport in New York. The shipment flew about 3,765 miles to Luxembourg, where it was collected by a specialist truck bound for the U.K. The truck reached its destination by ship across the English Channel. In other news, Peters & May is expanding its global network by opening a regional sales office in Hong Kong, effective Oct. 4. The decision to open the office resulted from an increase in the number of boatbuilders, dealers and individual boat owners who moved boats to Asia in the last three years. Peters & May Hong Kong will be led by Thibaut de Montvalon, who had been managing director of Peters & May France.